This is a reminder that that the Northwest Region Healthcare Coalition is hosting a Multi-Year Training and Exercise Program (M-YTEP) Workshop August 29th at the Harrisonburg Rescue Squad. If you plan to attend and you have not registered, please register through Eventbrite by clicking the link here. We invited the healthcare facility points of contact, local emergency manager, and the local public health emergency planners to attend this important meeting. This program is an attempt to provide one document highlighting the training and exercise opportunities throughout the region. by doing so, the information allows everyone an opportunity to participate in the events. The Northwest Region Healthcare Coalition is hosting the event with the assistance of the Virginia Department of Health as the moderator and producer of the product. Currently, we only have 27 people register, but the Eventbrite registration link has been viewed by 89 people. Lunch is being provided for the attendees. Let’s make this a great meeting by having maximum participation from the coalition members and partners. So, please spread the word about this opportunity because it is not too late to register. Wow! Our website has reached over 1,200 viewers. Let’s keep it going by informing anyone who has an interest in the Regional Coalition and the information we provide. 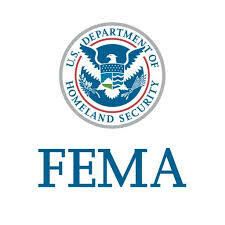 The Federal Emergency Management Agency (FEMA) is seeking feedback on the draft document released today, Planning Considerations: Evacuation and Shelter-in-Place. Feedback and recommendations received will help ensure the final version of the guide is an effective resource for emergency managers across the nation. Evacuation and shelter-in-place protective actions are prompted by a variety of threats and hazards. Incident-specific circumstances drive the relevant protective actions based on a community’s demographics, infrastructure, resources, authorities, and decision-making process. Determining that evacuation needs to take place is not an all-or-nothing approach. Lessons learned from disasters, such as hurricanes Katrina, Harvey, Irma, and Maria, have highlighted the value of enacting a zone-phased approach to evacuation and shelter-in-place, enabling jurisdictions to move as few people as necessary. Shelter-in-place populations that are not directly in harm’s way, rather than having them evacuate, help jurisdictions reduce costs, resource requirements, and the negative impacts of evacuations, while promoting improved response and quicker re-entry and recovery. Identifying additional job aides, training opportunities, or resources for inclusion in the document. FEMA is hosting a series of 45-minute engagement webinars to describe the draft document and answer participants’ questions about providing feedback. The webinars will be open to the whole community. The National Engagement Period will conclude at 5:00 p.m. EDT on August 31, 2018. To review the draft document and for additional webinar information, please visit https://www.fema.gov/plan. In collaboration with the Department of Homeland Security (DHS) and the Office of the Director of National Intelligence (ODNI) the 2018 Public-Private Analytic Exchange Program (AEP) published a report titled “Phishing: Don’t Be Phooled! Vulnerabilities of Healthcare Information Technology Systems.” AEP also released an accompanying slick sheet with the report. AEP conducted a series of interviews and literature reviews to develop this profile on the tactics and effectiveness of the practice of phishing. Portions of the Democratic Republic of the Congo (DRC) are currently classified as a “reconsider travel” zone by the United States Department of State, since a new Ebola outbreak emerged in North Kivu (Kivu Nord), approximately 780 miles from the most recent outbreak. The DRC Ministry of Health, World Health Organization (WHO), and additional partners are monitoring and responding to the recent breakout; mitigation efforts include enhanced surveillance across borders, as well as reporting and monitoring of those who may have been exposed to the disease. Awardees must take care to ensure readiness of their frontline and assessment hospitals, Ebola Treatment Centers (ETC), and regional facilities. All hospitals should be made aware of the outbreak and should conduct appropriate travel histories on all patients. Please visit the National Ebola Training and Education Center’s website and ASPR TRACIE’s Topic Collection: VHF/Ebola for additional information and resources. Following the recent nerve agent poisonings in the United Kingdom, the emergency response community has requested information and advice to enhance preparedness. 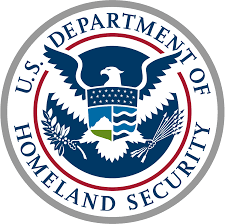 The US Department of Health and Human Services’ Office of the Assistant Secretary for Preparedness and Response, Department of Homeland Security’s Countering Weapons of Mass Destruction Office, and Department of Transportation’s National Highway Traffic Safety Administration Office of Emergency Medical Services have prepared the attached document, “Nerve Agent Information for Emergency Medical Services and Hospitals” which serves as a refresher on standard protocols for recognizing, treating, and protecting oneself from nerve agent exposures. The document also compares and contrasts the clinical effects of nerve agents and opioids as an aid to distinguishing nerve agent exposure from the prevalent opioid overdose cases. Comprehensive follow-up guidance incorporating lessons learned from the United Kingdom incidents will be forthcoming. This ASPR TRACIE resource highlights best practices and issues related to planning for, activating, and operating hospital or health care facility Family Information Centers, Support Centers, Family Reception Centers, and Family Assistance Centers. ASPR TRACIE worked closely with subject matter experts to develop considerations for health care facility staff to use during planning, response, and recovery efforts. On the evening of July 12, 2018, staff at the MedStar Washington (DC) Hospital Center noticed a significant drop in water pressure. While this loss of water was remedied by the local water authority within hours, residents and facilities across much of the city were urged to boil water before drinking or cooking with it. ASPR TRACIE interviewed Craig DeAtley (PA-C, Director, Institute for Public Health Emergency Readiness, MedStar Washington Hospital Center) to discuss this incident, lessons learned, and planning considerations that health care facilities can incorporate to improve preparedness and response for similar incidents. Experience with public health emergencies confirms that every community in the United States must be ready for unpredictable events, such as pandemics, national disasters, acts of terrorism, or chemical or radiological releases. To prepare for and recover from the effects of public health incidents, individuals and households must have knowledge, tools, and confidence to take appropriate action when needed. The recently published article titled “Attitudes, Motivators, and Barriers to Emergency Preparedness Using the 2016 Styles Survey,” assessed adults’ perceptions toward preparedness to better inform emergency planning efforts for households and communities. The study examined characteristics associated with preparedness attitudes, motivators, and barriers to preparing for an emergency by adults who reported that they were prepared. The article was co-authored by CDC representatives from the Office of Public Health Preparedness and Response’s Office of Communications and the Division of State and Local Readiness. The Federal Emergency Management Agency, Clark County Fire Department, and the Las Vegas Metropolitan Police Department has completed an extensive review of the mass shooting incident that occurred at the Route 91 Harvest Festival on October 1, 2017. Below is a synopsis of the event and a couple of pertinent findings. You will notice a theme from the three observations below that we have conveyed to the members of the coalition and its partners, and the importance of that theme. Observation 56 is one project the Northwest Region is making a priority. We have the capability to provide bed status, but we are not using the Patient Tracking System in the Virginia Hospital and Healthcare Alerting and Status System (VHASS) to its fullest capability. This requires all of regional hospitals to connect their patient system using a secure HL7 data feed to automatically upload bed status and patient counts during an emergency or disaster situation. We currently have two of the 13 hospitals that can activate the data feed. 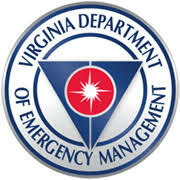 This is also going to be a priority project of the Virginia Hospital and Healthcare Association (VHHA). This type of incident underscores the importance of patient tracking by working with the first responders and first receivers throughout the region. The entire AAR can be found here. On October 1, 2017, over 22,000 people attended the Route 91 Harvest Festival in Las Vegas, Nevada. On the third and final night of the festival, a lone gunman opened fire into the crowd from the 32nd floor of the Mandalay Bay Resort and Casino. The gunfire continued for over ten minutes, resulting in the deaths of 58 people and injuring more than 850, including first responders. Two local police officers responding to the incident were among those wounded by gunfire. The response brought together 13 responding agencies and three private ambulance companies to address a highly chaotic scene, neutralize the threat, and tend to the hundreds of victims. The responding law enforcement and emergency service agencies coordinated efficiently to clear civilians from the area, establish an Incident Command structure, and organize an effective response. Across several elements of the response, strong collaboration among these organizations was critical to the speed and effectiveness of their efforts. Conversely, when responders encountered communication barriers, these barriers hindered some aspects of their response coordination. Communication difficulties with key medical providers complicated response efforts. Initial communication was being relayed from LVMPD Communications, the FAO, and private ambulance dispatch centers back and forth to each other. Multiple local hospitals did not answer the radio when FAO dispatch initially attempted to notify them of the MCI at the Route 91 Harvest Festival. Additionally, responders had limited knowledge of the actions of private medical companies during the response and did not communicate with them. These communications gaps occurred because LVMPD Communications, the FAO, and private ambulance dispatch centers were overwhelmed with incoming calls and radio traffic. Develop policies and procedures for communications among dispatch, local hospitals, and private medical companies responding to an MCI to ensure interoperability of communications. Conduct joint training and exercises with all medical providers, including fire departments, private ambulance companies, hospitals, FAO dispatchers, and FAO call takers, to ensure awareness of when and how to use these communications mechanisms. Conduct integrated ICS training with all responding agencies. There was poor accountability regarding the number of patients and the area hospitals to which they were transported. Many private ambulances responded quickly to the scene. Of the approximately 250 patients transported via ambulance, approximately 200 were transported in the first hour. Patient documentation was a low priority relative to life safety and the imperative to transport victims rapidly, so many ambulances simply transported multiple victims without performing the usual documentation process. While foregoing patient documentation on scene allows for an expedited transport process, it complicates patient accountability at the hospital and possibly hinders family reunification. Due to the size, scope, and complexity of this incident, it is an acceptable deficiency. Delaying patient transport and care to obtain patient information is not necessarily in the best interest of care and survivability, although in smaller incidents, ambulance services should assign personnel to track patients. Coordinate and jointly conduct training and TTXs with hospitals, private ambulance companies, and law enforcement to improve patient tracking during a large-scale incident. Create a tracking system that is routinely sent back to Incident Command and the LVMPD Department Operations Center (DOC) for timely consumption of actionable information. Establish a consistent policy with all partner agencies, both public and private, for sharing Health Insurance Portability and Accountability Act (HIPAA) information. The Multi-Agency Coordination Center completed all requested support functions, except for establishing a complete and accurate patient list. Information was disseminated to partner agencies within acceptable standards through WebEOC, resource requests were filled without delay, and the MACC logistically supported Unified Command, LVMPD’s DOC, and the FAC. Personnel completed proper documentation for resource deployment, authorization, and financial responsibilities. Though well staffed, the MACC’s JIC was not used extensively until after the FAC opened on 2 October. However, from that point, the JIC was very active on all information sharing platforms. While the MSAC was successful in providing coordination and necessary resources to area hospitals, they were unable to obtain an accurate patient list including patient count, injury types, contact information, and patient locations. LVMPD requested this patient list early in the incident, and they were unable to fulfill it. This failure stemmed from challenges with patient tracking for an incident of this magnitude and complexity. Many patients self-transported or were brought to the hospital in personal vehicles. Hospitals may also not have tracked patients or communicated their tracking with the MACC. Perceived restrictions for sharing personally identifiable information made completing a deconflicted patient and deceased list very difficult. This issue occurs at the local, state, and federal level and is being addressed through training and exercises and possible administrative and legislative changes. 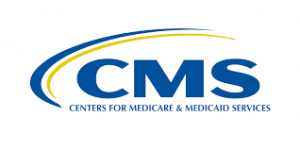 Conduct additional training and clarify policies for patient tracking and information sharing for MSAC representatives, ESF 8, EMS providers, hospitals, the coroner, and law enforcement. Conduct additional training for fire and law enforcement on available MACC support.